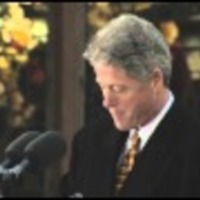 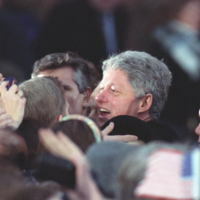 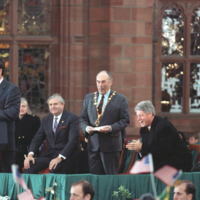 Close-up photo of President Clinton shaking hands with the crowd. 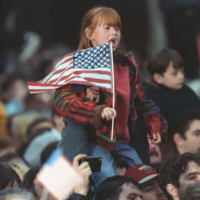 A girl sitting on the shoulders of her father holding an American flag close to her face. 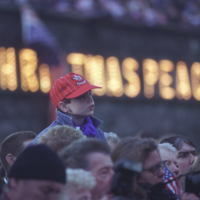 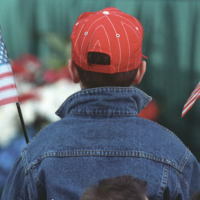 Behind view of a boy holding American flags in each hand. 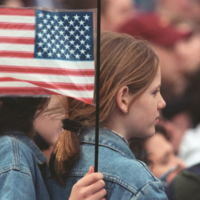 A group of girls greet President Clinton with American flags. 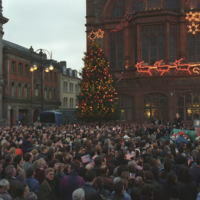 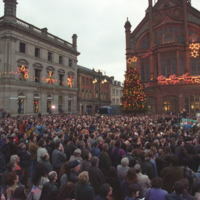 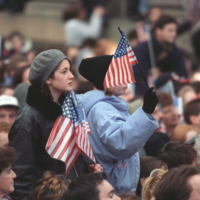 A crowd greets the Presidents with American flags in Guildhall Square. 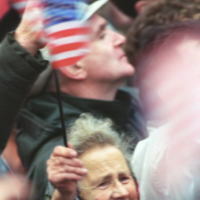 A woman greeting the President's arrival by waving an American flag in Guildhall Square. 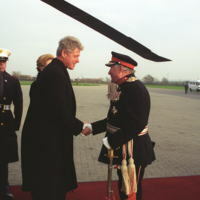 Lord Lieutenant of Londonderry Sir Michael McCorkell greeting President Clinton on the tarmac. 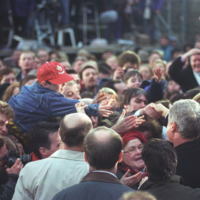 Tarmac crew unrolling the red carpet to the President's helicopter. 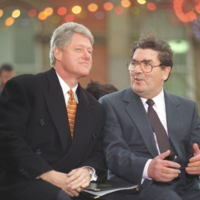 A security team waiting on the tarmac with President Clinton's helicopter in the background.